If you watch home improvement shows, follow designer blogs, or like to swipe through home design websites, you’ve probably noticed that huge bathrooms tend to steal the spotlight. Colossal spaces with multiple vanities, soaker tubs, walk-in showers, storage galore, and miles of marble, hardwood, and other high-end details. While these bathrooms are certainly gorgeous, and inspirational, they just aren’t the reality for many homeowners who are either dealing with smaller budgets, tighter spaces, or maybe both. Can you achieve big style in a smaller space? Absolutely! It all comes down to making smart decisions during your bathroom remodel. 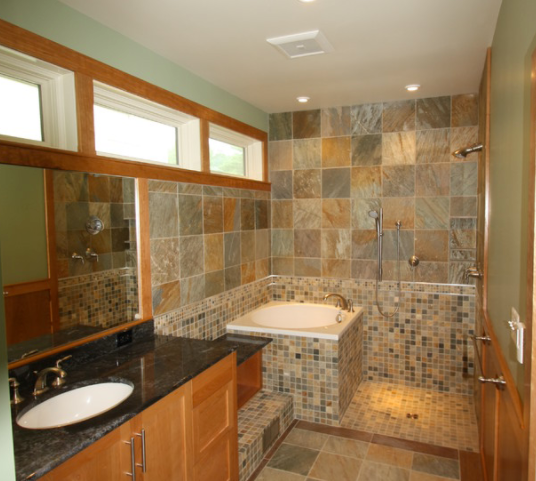 How Can You Make a Small Bathroom Feel Bigger During Your Remodel? Here are a few practical tips to keep in mind! If you can avoid breaking up your line of sight, do it. In this case, skip the shower curtain and opt for a more stylish and practical glass door. While it might limit privacy, it does allow the full size of the room to be seen. Depending on your other storage options, pick the least intrusive vanity possible. Floating vanities are ideal, providing both practical storage capabilities and an open floor space. 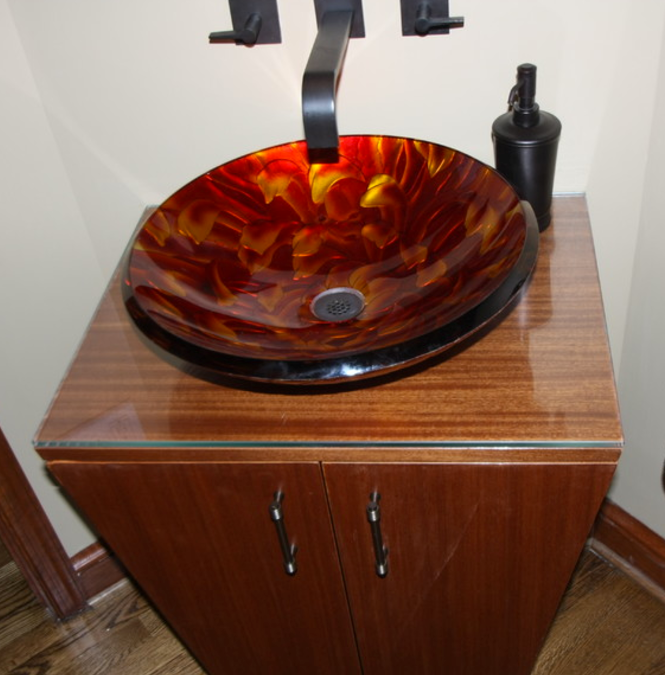 Pedestal sinks are also a good option, if you don’t mind the more limited function. If you can swing a small walk-in shower (with that glass door we mentioned), explore the idea of having the same floor continue right into the shower with you. That continuity creates the illusion of more space, rather than chopping things up with different materials, textures, or colors. Shelving units and cabinets should be avoided. Anything that can be built in and recessed is your best option, offering you both function and an uncluttered look. Mirrors are a good design element to include in any small space. They’re also basically essential for a bathroom (unless you really don’t care how you look in the morning). Try going with oval options; the stretched design visually pushes the ceiling upward creating the feeling of height in your bathroom. A little visual trickery is never a bad thing! As we touched on above, the fewer visual breaks the better. This goes for color too! If you have a tile surround or other dominant, fixed color in your shower/tub space, choose paint that is at least a near match. A truly skilled remodeler offers feedback, ideas, and solutions. You should feel comfortable engaging in a dialogue about your project, knowing that a positive, maximized outcome is your shared goal.